This checklist is designed specifically for domestic contracts. A person seeking independent legal advice is as much your client as any other. Resist the temptation to rush or take shortcuts. A lower standard of service is not warranted just because your meeting is brief and you may not see the client again. 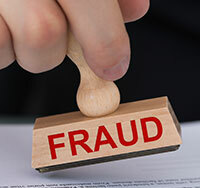 Remember that a modest $150 independent legal advice (ILA) consultation can leave you exposed to a significant malpractice claim. Giving independent legal advice is never routine, not even if the person seeking advice has already made a decision and just wants it rubber stamped. Your consultation may be the client’s only opportunity to objectively consider a transaction that exposes the client to significant liability or prejudice while primarily benefiting some other party. It is essential that you diligently interview the client, gather information, analyze the issues, and formulate your advice. Give independent legal advice only if you are competent in the area of law in question. Check the identification of the person for whom you are giving independent advice. If the client needs an interpreter, have a neutral party interpret rather than a member of the family. Gather enough information about the circumstances surrounding the transaction to be able to explain them to your client and predict problems. In particular, gather information on the client’s age and level of experience, the client’s motivation, the relationship of the parties, and their relative bargaining power. Find out enough about the client’s financial situation to know the financial impact of the transaction. Ensure that your client understands not only the nature and effect of the document, but also the client’s underlying rights and entitlements. Rather than ask clients if they understand the document in question, have them explain in their own words their understanding of the transaction. Ensure clients are exercising their own free will. Be especially diligent if a guarantor is a relative of the borrower, subservient to the borrower, or an unsophisticated party. Be sure the document is complete in all respects before you or the client sign. When providing independent legal advice, a checklist provides you with a handy tool to ensure that you are covering all the bases when discussing the underlying transaction and your client’s relationship to that transaction. LAWPRO’s domestic contract ILA checklist (PDF format) will help you canvas all the appropriate questions with your ILA client. 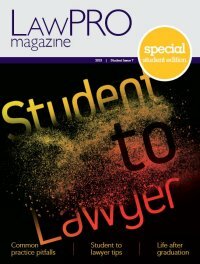 LAWPRO has also created a generic ILA checklist. Using an ILA checklist will allow you to be in a better position to successfully defend a negligence claim in relation to the provision of independent legal advice. As an example, in the recent case of Webb v. Tomlinson, 2006 CanLII 18192 (ON S.C.) a solicitor was able to successfully defend a claim of negligence arising out of the provision of independent legal advice. The solicitor Tomlinson kept detailed notes and used a checklist that was included in a LAWPRO magazine. Justice Belobaba referred both to the notes and the checklist when deciding that the solicitor had taken reasonable steps to explain the nature and consequence of the mortgage that had been signed by plaintiff in that case.